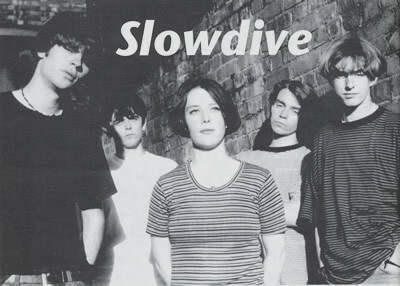 Other information was taken from relevant sites such as the Slowdive & Mojave 3 Digest Archive, The Souvlaki Space Station 'A Slowdive Digital Museum' page (which contains invaluable information on the Souvlaki Tour) and the, unfortunately, now defunct site Slowdive - A New Dream page that contained information about the band from 1991 and 1992. If you attended a show, specially during the 90's, your ticket or advert scan is most welcome. Every contribution to the site will be credited.